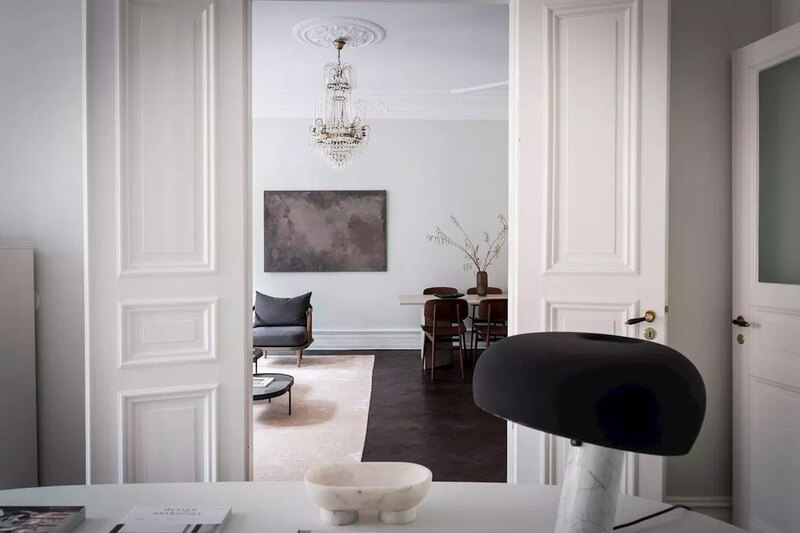 I love when an interior is a personal, tasteful blend of styles and eras. 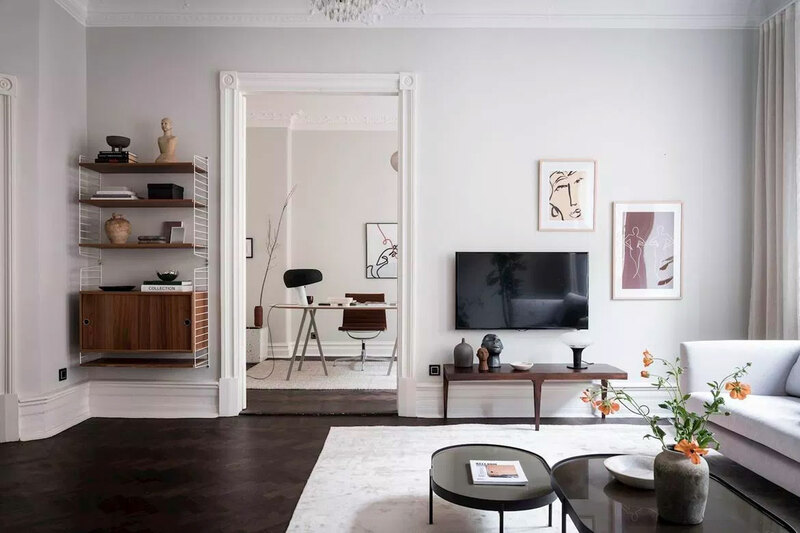 Layering old and new gives dimension, character and a unique look and feel. 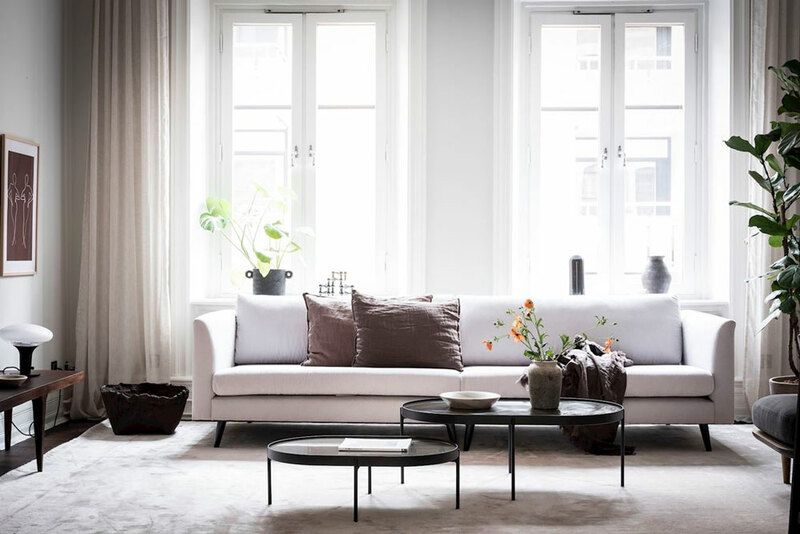 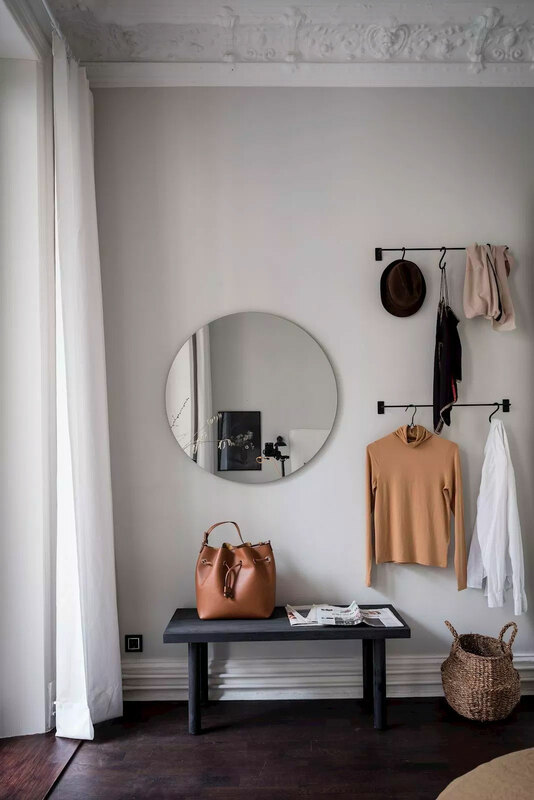 It is all about finding the right balance, and this refined apartment in Sweden is a beautiful example. 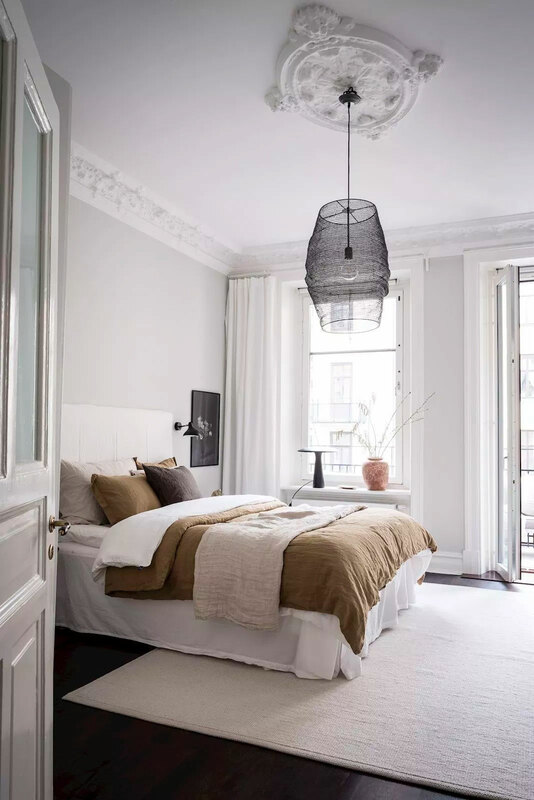 The place has great features to start off with – Dark parquet floors, high ceilings, tall windows and spacious rooms. 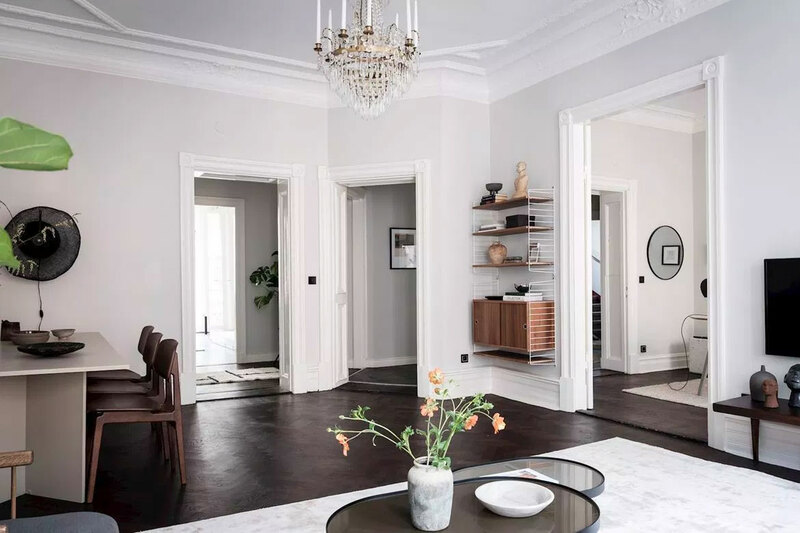 It also has lots of classic elements like moldings, ceiling ornaments, double doors and crystal chandeliers. 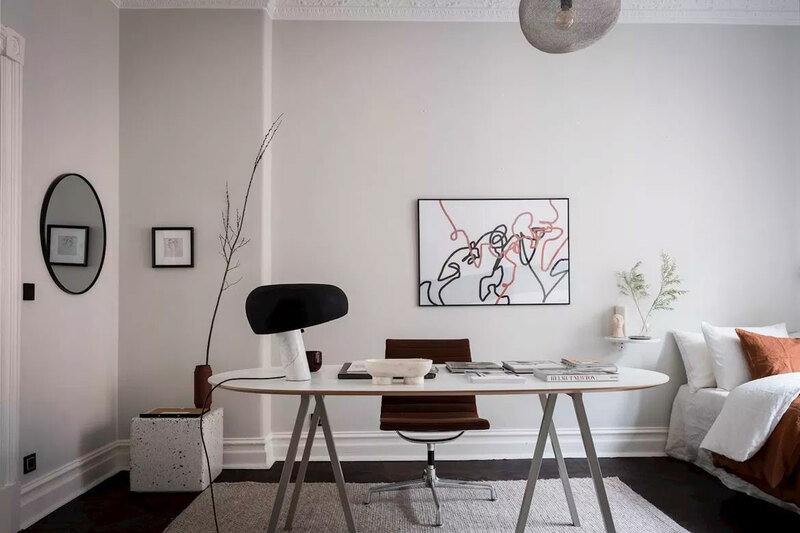 In contrast, most of the furniture and accessories are contemporary in design. 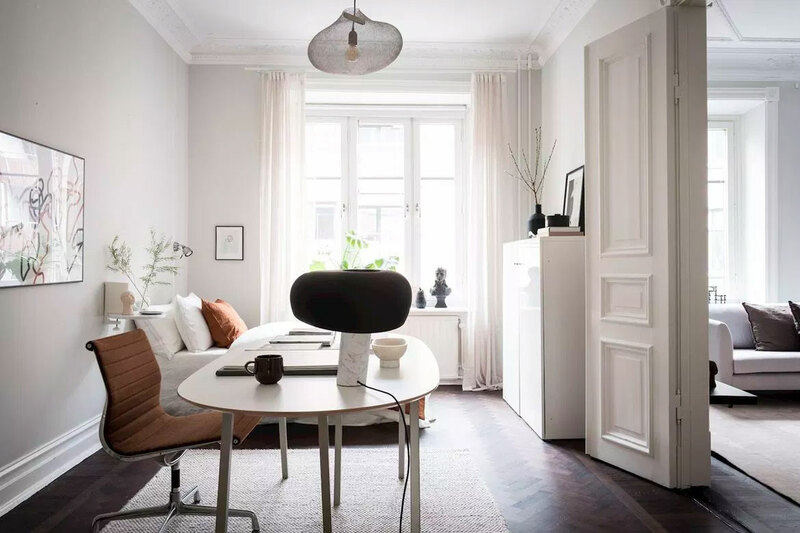 I spot a Fly armchair from &Tradition, NoNo coffee tables from Menu, a shelf system from String, and a Snoopy lamp from Flos, with a few vintage finds. 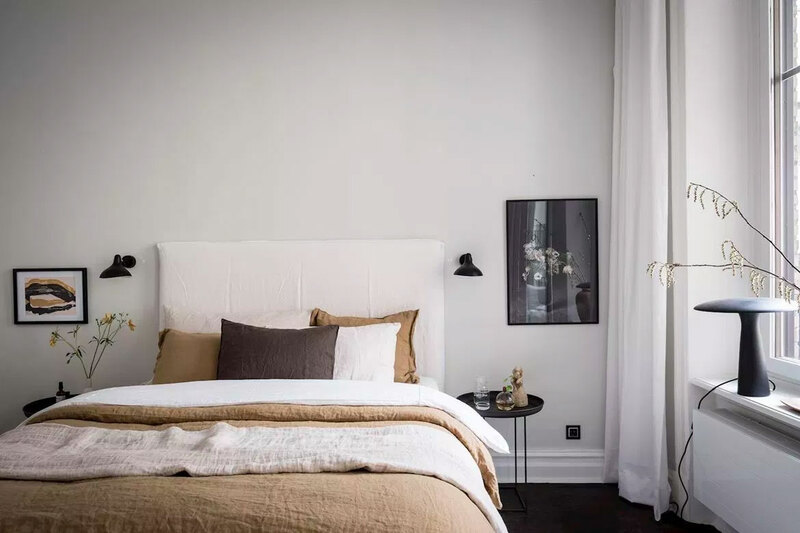 Others details like the ceramics pots, vases and sculptures add a lived-in quality because of their patina, and so do linen cushions, throws and sheets. 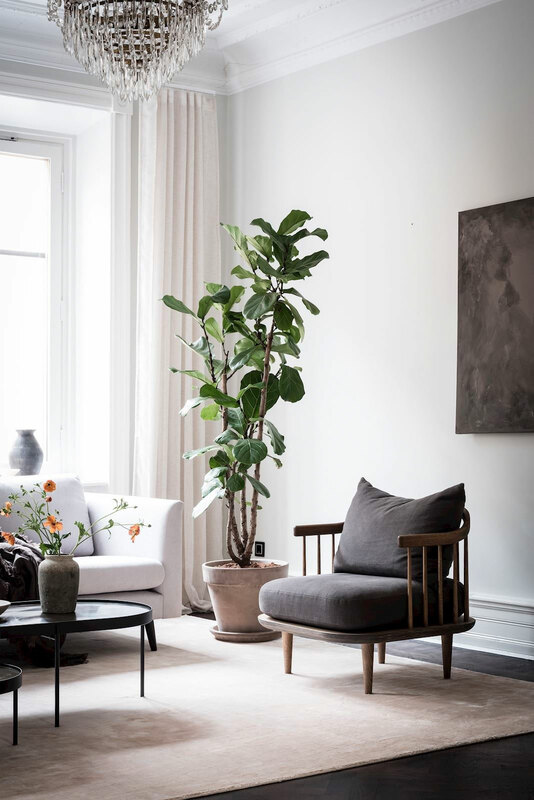 The pared-down color palette ties the look together. 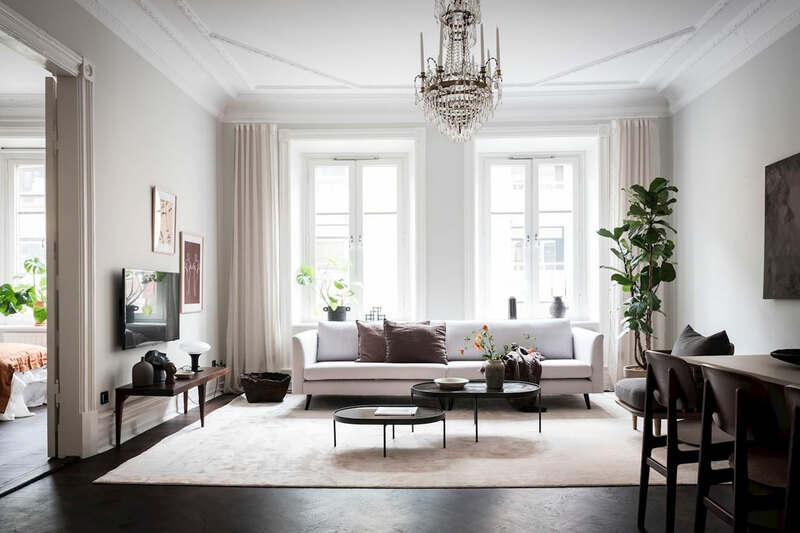 For more beautiful Scandinavian homes, check out my inspiration gallery.